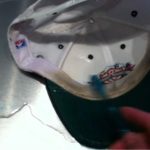 Pre-clean your baseball cap by spraying a solvent-based spray, such as Shout, onto the dirtiest areas of it. Scrub the spots using a cloth or a spare toothbrush. Create a bath of lukewarm water in a clean sink. Pour one tablespoon of laundry detergent or a specialized stain-removal product into the water as the faucet dispenses it. Put the cap into the water and let it soak for up to two hours. You should check periodically to see when stains start to disappear: if you notice positive changes early, you may not have to soak it for very long. Drain the sink and rinse the cap off with warm water thoroughly to rid it of soap, without wringing it out. Gently towel dry the cap to absorb the excess water. Let the cap air dry on an item that will not alter its form, like a balled-up piece of fabric. Place a towel underneath the cap and its “mold” to catch excess water. When scrubbing or agitating material on the cap to get stains out, apply light pressure so you do not damage the quality of the wool. Apply cleaning solutions for specific wool use only. Soak it in water and a small amount of detergent as previously directed. Let the cap air dry on an item that will not alter its form. Underneath the cap’s bill fabric, there is likely a cardboard insert. This means the hat can never be washed in water, otherwise its shape will be wrecked. For especially troublesome areas, spot clean with stain remover as previously directed, while being careful not to use too much liquid on the hat. 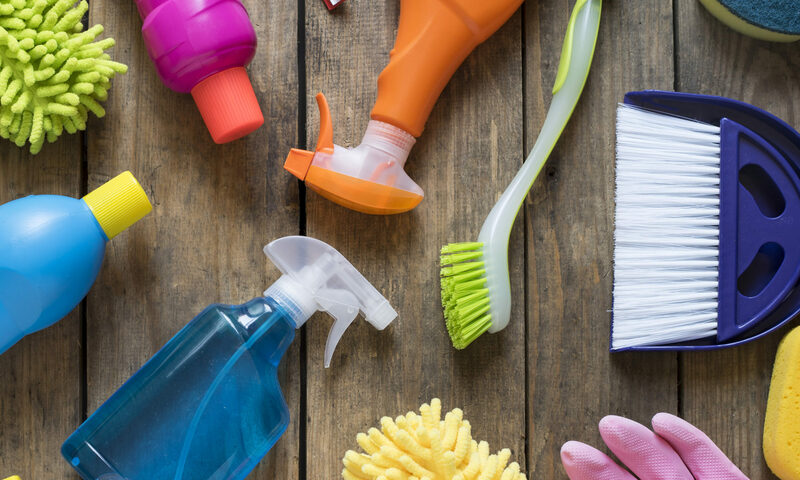 Brush the cap or dust it off with a cloth to collect the small particles of dirt. that traditional stain removers are not doing the trick. If you are concerned about your clean baseball cap losing its form, and you don’t have to go somewhere you might be judged for style choices, consider wearing it! The cap will be a little damp, so line the inside with a thin layer such as Saran wrap or a plastic bag before putting it on if you do not want to get wet.